The current criticism of Poles regarding the period of German occupation of Poland and their attitude towards Jews is deeply unfair – said in an interview with the Polish news agency (PAP) Mateusz Szpytma, the vice-president of the Institute of National Remembrance. The number and scale of attacks on Poland have become gigantic – he added. At the Institute of National Remembrance, we monitor this situation on an ongoing basis. 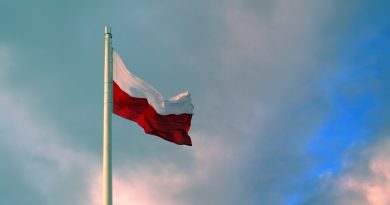 Criticism in the media of Poland and Poles has now taken the form of an “iceberg”. This is horrible. Previously, the negative attitude towards Poland only smoldered, today it is a fire. The current negative attitude towards Poland is not only a matter of the Institute of National Remembrance Act, which provides for imprisonment for assigning Poland and the Polish people responsibility for the Holocaust, but also the effect of many years of neglect – he stated. 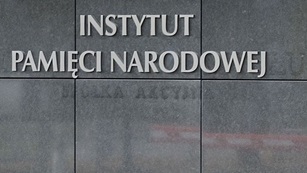 The Vice-President of the Institute of National Remembrance expressed the expectation that politicians from various countries, including Poland and Israel, make their statements on the basis of findings from scientific research. He said that it is also necessary to limit the emotional occurrences that interfere with the debate about the common Polish-Jewish past. This is not easy, because politics are often based on emotions, but it is crucial. Nobody should be allowed to use untrue or unreliable arguments. This also applies to foreign speeches referring to the “Polish perpetrators of the Holocaust”. There is no such thing as Polish responsibility or joint Polish-German responsibility for the Holocaust. We can only talk about crimes committed by specific Poles, but neither of Polish nation nor Polish state. It is never enough to remind you – it is Germany that is fully responsible for the crimes committed on Polish soil during the war – he added. Additionally, Mr. Szpytma drew attention to the ease with which accusations against Poland were being cast. Poles who during the German occupation saved Jews must undergo a very extensive and complicated procedure (by Yad Vashem) to obtain the title of the Righteous Among the Nations – he said, but on the other hand, writing about the Poles that they denounced Jews during the war is amazingly easy. This is not okay. If someone wants to write about Poles, let him write, but under the condition that he will examine the matter as much in detail as it is done with the title of the Righteous – said the historian. For full clarity – I do not mean to justify the Poles who were perpetrators. No, they must be condemned and the Polish state condemns them. Nevertheless, any such case should be carefully checked in order not to accuse arbitrarily the Polish nation of joint responsibility for the Holocaust – he explained. He also reminded that speaking about Polish-Jewish relations during the war one cannot fail to mention the institutions of the Polish Underground State and the Government of the Republic of Poland in Exile. Despite the hell of the war, the Polish institutions did a lot to save Jews – just like the Council for Aid to Jews “Żegota” – and those who informed the world about the Holocaust, like Jan Karski. Let’s also remember about the Polish soldiers who were present on almost all fronts of the world, who did not save Jews while fighting with the Germans, but contributed not only to end the war, but also to the shorter stay of Jews in concentration camps or in hiding places – Szpytma said. Image: the Polish Institute of National Remembrance. Source: Wikipedia.